Creating art pieces and jewlery using a toner-transfer method, used to prepare PCBs. The pieces can be usable as circuit boards. 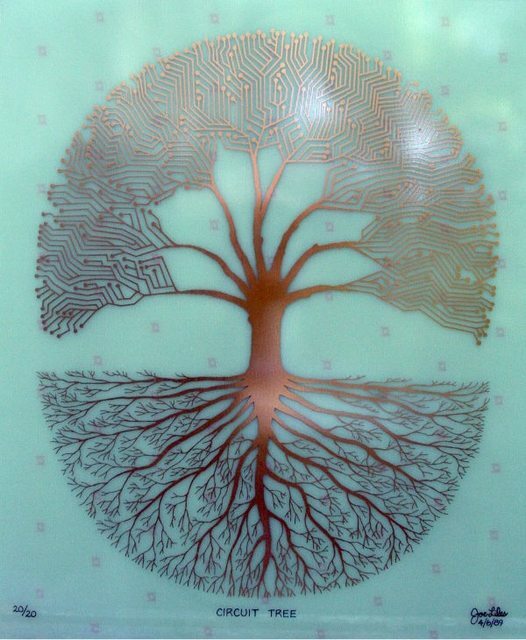 Creating art pieces and jewlery using a toner-transfer method, used to prepare custome made printed circuit boards. The method uses copper clad plastic plates, on which the design is printed, and then the background is digested using a copper solubilizing acid. The artistic PCB can stand alone or be used as a circuit board for simple applications, such as lighting an LED. We will also create recycled art and mosaics from used and useless PCB's.